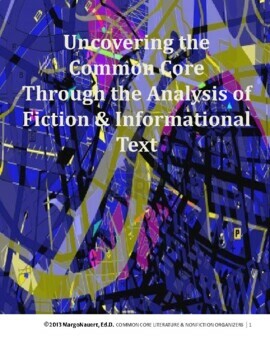 Enclosed in this unit is a collection of graphic organizers and prompts based on known strategies, which will hopefully help you and your students navigate the Language Arts Common Core curriculum. Through 10 fiction and 10 informational organizers, students will be able to explore text with more depth than ever before. In addition, 10 prompts for speaking and listening will help students bring the literary and informational elements to life. As the adoption of the Common Core Standards progresses throughout the nation, it becomes clear that higher-level thinking and the use of technology is no longer a choice, but instead it is a fundamental part of teaching students 21st Century Skills and preparing them for the future. These activities meet such demands and are aligned to the Common Core Standards.